You have the ability to set up Auto Reply for your inboxes. This allows you to automatically respond to people who message you in certain inboxes with a time criteria that you set. Go to Automations and click "Create Automation". 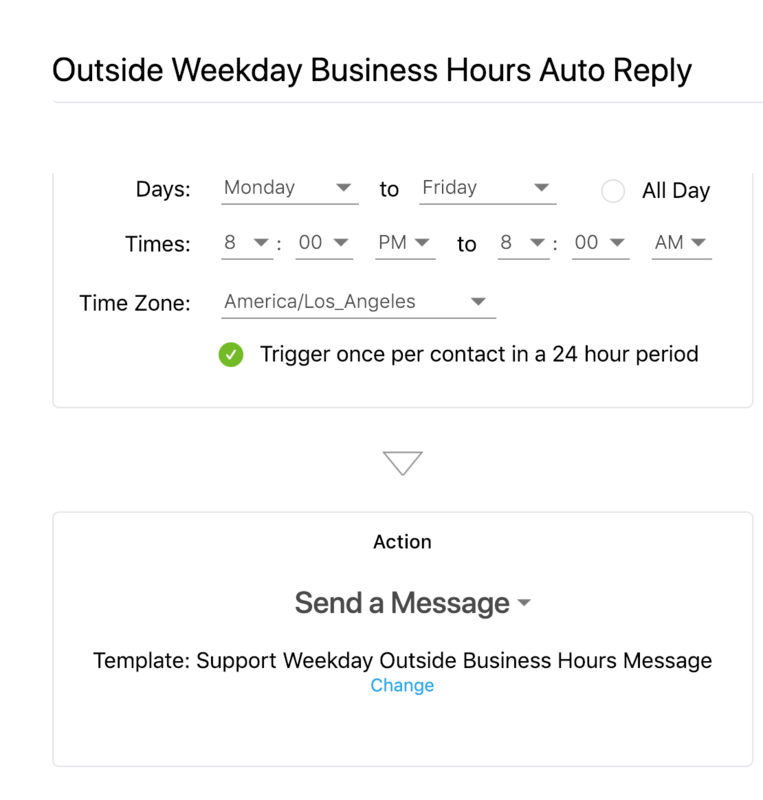 For example, we named our automation: "Outside Weekday Business Hours Auto Reply"
Select what hours you want the auto reply to run. Most people set it up for evenings, outside of normal business hours, but you can customize it to your preferences or set it to run all of the time. For our example, we chose the "Day and Time" option and set our automation to run Monday to Friday from 8PM to 8AM. Select an existing template you have set up as your out-of-office message. The Auto Reply will trigger only once per contact in a 24 hour period, unless you uncheck this option. And that's it! Still have questions? Reach out to us by email or message us!